I recently had the opportunity to fulfill an odd, yet lifelong dream (at least lifelong since my first viewing of the movie Babe). 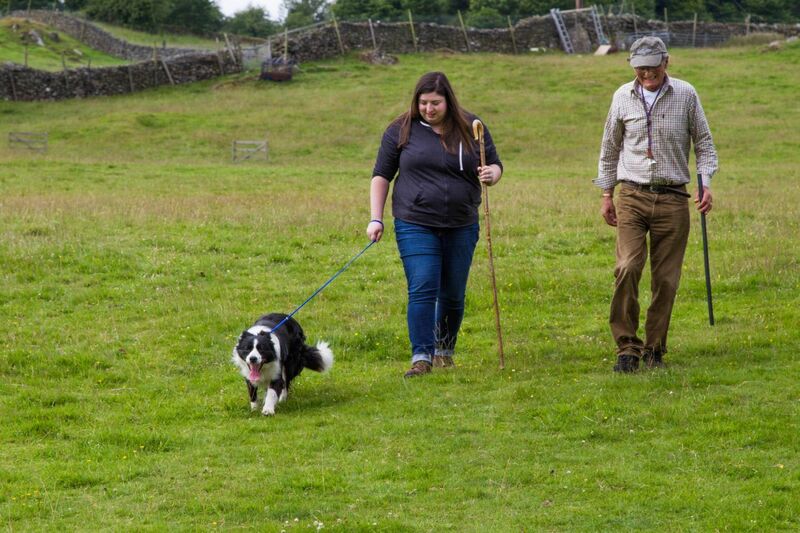 I was able to work with a sheepdog and sheep in the beautiful Lake District countryside of Northern England! And let me tell you, it was amazing! First the nitty-gritty; this is not a cheap experience. 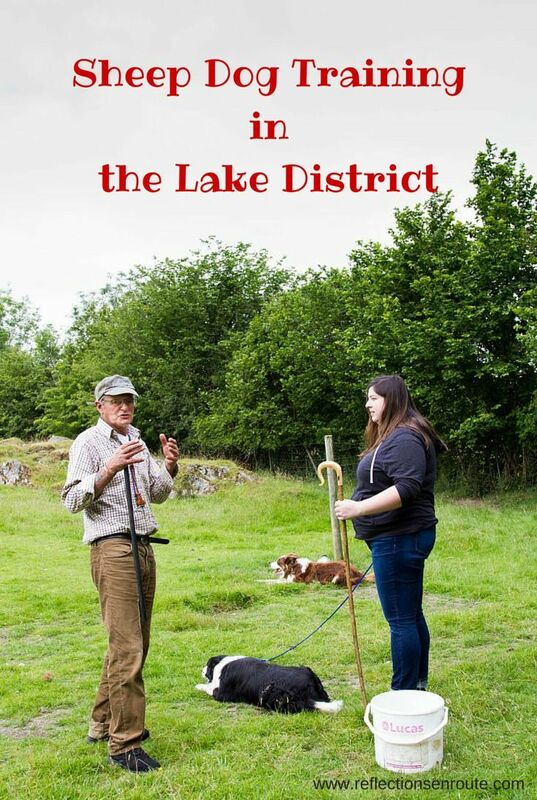 If you are interested you must book a reservation in advance, you can go with a group but keep in mind that only one person gets to actually heard the sheep with the dog, the rest are viewers/bystanders and they must pay a smaller fee to view. However, I do think the experience was worth it and it’s something I know for sure that I will remember with delight for the rest of my life. 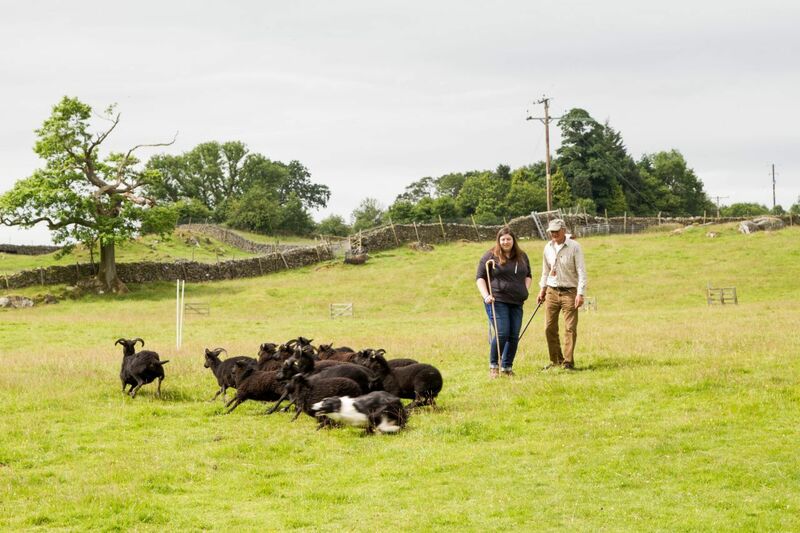 A Lesson with the Pros – Man and Sheep Dog! 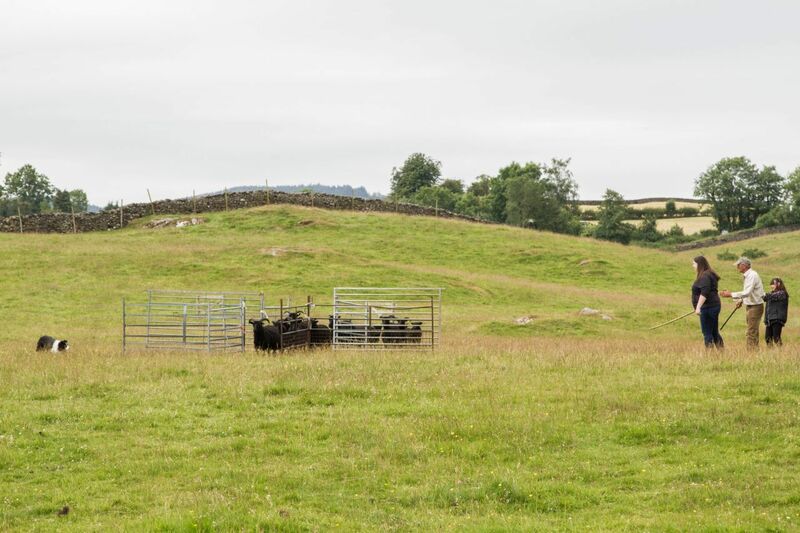 When we arrived at the unsuspecting and very empty field in the dramatic countryside I really did not know what to expect, or even if the experience was real or not considering there was no one there to greet us. But we waited about five minutes and sure enough a woman carrying a shepherd’s staff and followed by two gorgeous black and white sheep dogs greeted us at the gate. We then walked through a couple fields to get to the training area. After our short introductions, we learned all about the company and how many dogs they have, how much they love their dogs, and what a normal day for them looks like. I have to admit it sounded like a lot of work from sunup to sundown, but working with dogs all day has just got to be fun. Upon arriving at the dog training field, we met the woman’s husband who was seated in a small tent and was attending to a very young and hyper dog. We were introduced to the farmer and all the dogs properly, they were very excited and it was obvious that the dogs loved their job. This is their element and it’s a great thing to see animals use their basic skills and instincts! After a quick demonstration I realized that I was then up to bat and I became very nervous thinking I had to command this amazing sheep dog. However, my nerves soon subsided as I slowly started to learn the terminology, “Come by” which means to move around in a clockwise circle, “Away” which means to move around in a circle in a counter-clockwise direction, and “Stand by” to stop, slow down, or wait. I was given a trial run with Max, the oldest male sheepdog, who was so excited to do his job he couldn’t contain himself! It took just a few moments for him to listen to each of my commands as I said them. He was definitely the most well trained and focused dog I have ever seen or met. I started saying the terms loud, then from prodding from the shepherd began to quiet down, and even though Max was about 200 yards away at times, he could hear and follow demands as quiet as a whisper. 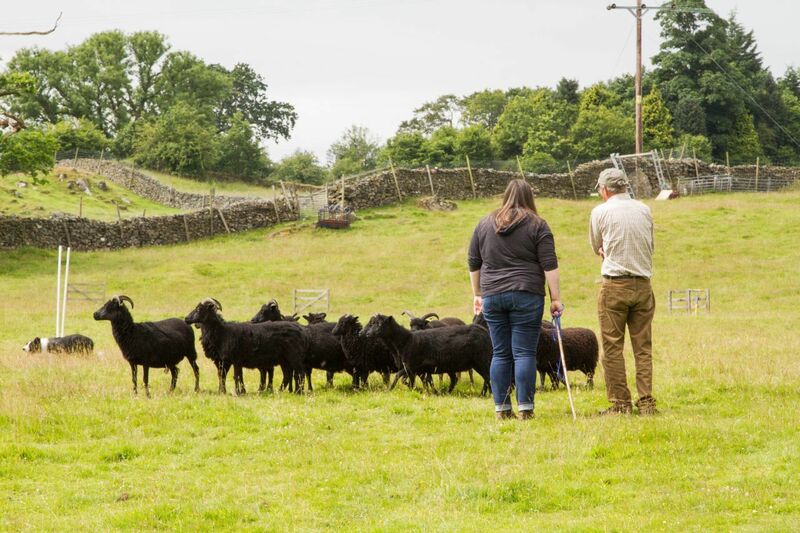 After a few trials, we went through an entire routine, me whispering demands, Max following them to a T. We rounded the sheep from one end of the field to the other using “come by” then when we went a little too far, I said “come by” a few times, then the ever important “stand by”, in which Max slowly herded the sheep straight ahead to make it finally through the gate and once we were all done, the iconic phrase from Babe, “That’ll Do”. Although we were there for about an hour it felt like fifteen minutes, it was exhilarating fun and watching the dogs do what they do best was awe-inspiring. This was certainly a Sheepdog Experience to remember! 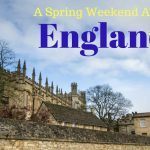 If you love animals check out this post: Encounters with Wild Ponies – A Weekend in the New Forest. And if you are looking for other Lake District adventures, how about walking the Eskdale to Ravenglass. 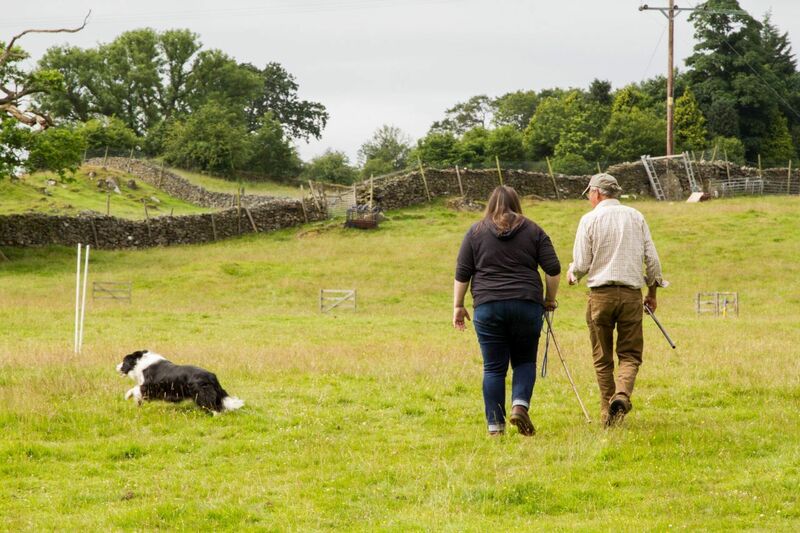 Have you ever wanted to do anything like learning how to call sheep dog commands and herd sheep? What would you like to do? Tanja, One of the most memorable experiences! Well worth the time and money! 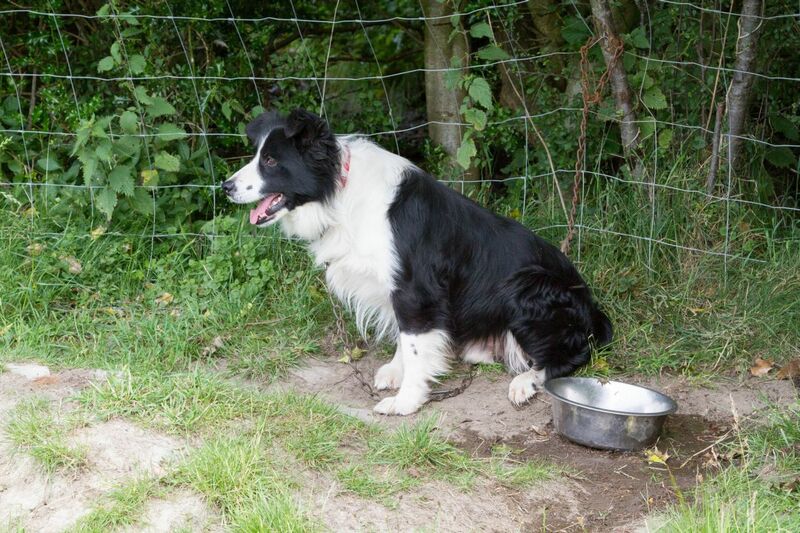 Ha,ha,ha, my son has a Border Collie exactly like this, Corinne. That dog believes we are all sheep and is his job to keep us together. Every time we go out with him as a family, if one of us goes ‘astray’ he will make sure de delinquent is brought back to the flock in no time. I think they have it in their blood and don’t need much training to do that. Anda, I think you are right! They are beautiful dogs, and very loving! Samiya, It was a fascinating experience. I highly recommend it. What a fun and educational day trip. Sally, So much fun! I think it’s a great one for older kids, at least 12 years old. You had to be quiet, but the dogs were amazing! I love Border Collies. They are the #1 dog with regard to intelligence. I would love to do something like this. I don’t know if they have that anywhere around us, but I would love to do this! Elaine, I’ll bet they do. When we did our course the instructor told us they have classes all over the world! 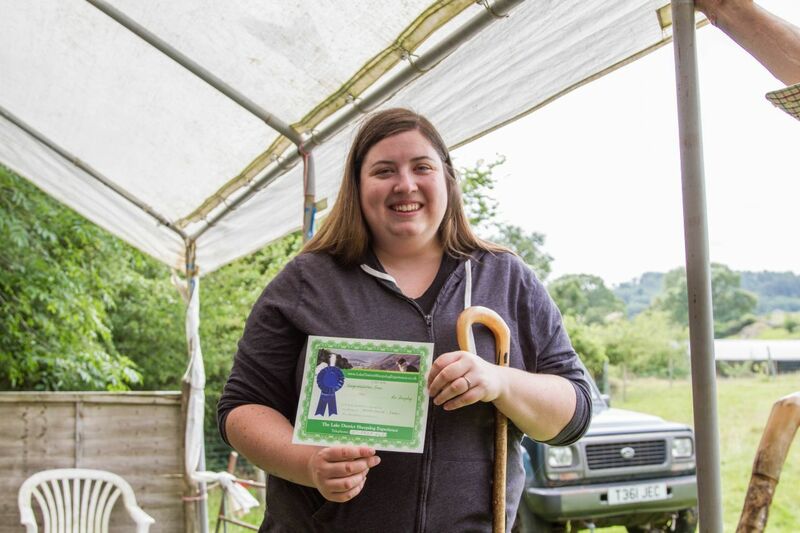 Next, I want to go to a shepherding competition (not as a participant just as a spectator)! BTW, I followed you on Pinterest and twitter! This is what makes travel interesting – definitely going off the beaten path and doing something memorable. I’m so glad you were able to do this, Corinne! Wishing you a New Year full of experiential travels like this! Marcia, I agree. It’s all about the experience! We had a fabulous time! Jan, I’m sure that is true. Every dog, like human, has different capabilities and personalities. The ones we met had wonderful personalities…but all different. We loved it! How cute! This sounds like a great experience. Dominique, It was a great experience and one I would do again! Wow Cynthia, what those must have been amazing experiences! I know it must have also been a lot of hard work. 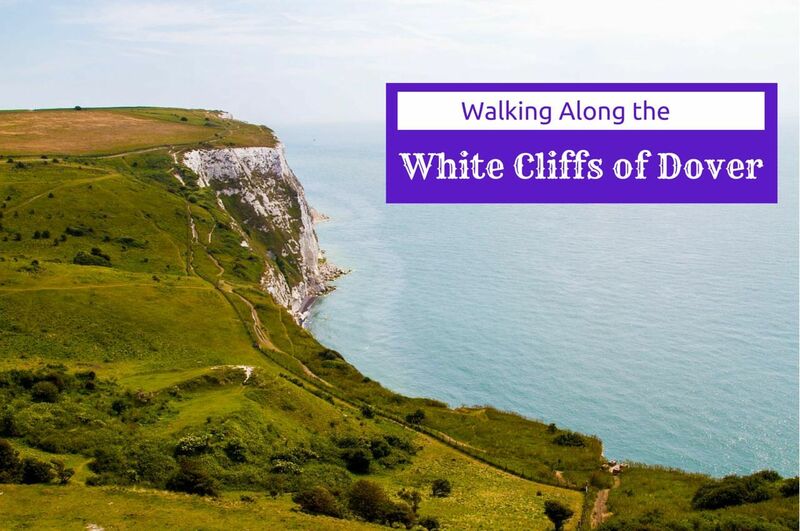 This sounds like a fun trip and totally different from the other trips. It was incredibly interesting and fun! Especially if you love dogs. But the whole Lake District is just beautiful. This would be so fun! Definitely something different and something to remember! It was a lot fun Taylor. We highly recommend it. Sounds like you had a great time. Sheep dogs are some of the most beautiful animals, especially when they are doing their job. Jennifer, The dogs had so much personality; it was hilarious. It was just like a bunch of children. Working dogs are always fascinating, they’re just so smart and energetic! We don’t really know much about dogs either, Amy, and it was a certainly a little intimidating at the start. But the dogs were so friendly and the instructors were a hoot and they really put us at ease quickly. Melody, I’m sure you would love it. The dogs were so much fun, and the couple was very open and knowledgeable. It was great. I never thought you could do something like this but it looks awesome fun! How did you book it? Leticia, I found the lessons online and called her up. I’m traveling, but if you email me I can send the couple’s website to you.